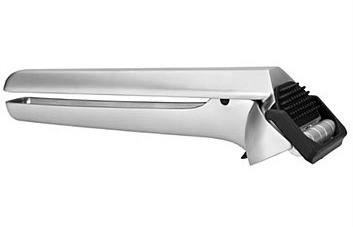 The stylish stainless steel garlic rocker is just like the original model, only stronger! It makes the messy task of crushing garlic much easier. Robust Oxo Good Grips garlic press features a large capacity garlic chamber, crushing garlic easily. A built-in cleaner allows for easy cleaning. 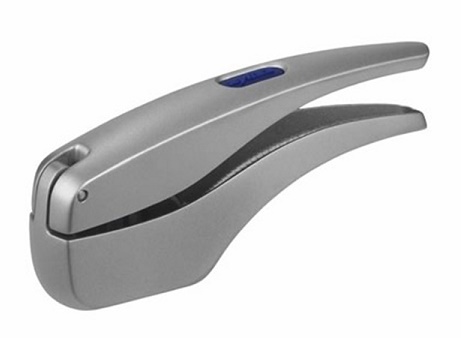 The Zyliss Susi-3 garlic press quickly and easily presses garlic with no need for peeling. It is time to change garlic presses! 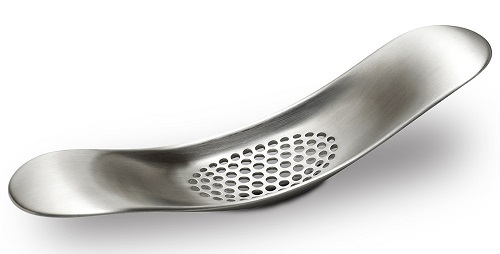 Garject is a garlic press that presses unpeeled garlic, scrapes itself clean and ejects the peel! Chop garlic quickly and easily with the Chef'n GarlicZoom.